Ner0 on reboot.pro has posted a way to patch Windows 10 in a similar manner to that used by Holmes.Sherlock's PassPass. I have added some new code to the E2B version of PassPass (v1.7a) so that you can now patch Windows 10 to bypass the password entry. The new E2B version is in the Alternate Download Areas. Paul wanted to prevent certain payloads from being listed in the E2B menu system so that the normal user would not be aware that they even existed. He wanted a secret hotkey + password which would allow the hidden payloads to appear in the E2B menu system. You can then type the password SECRET (in capital letters), and any hidden menu items will then magically appear in the E2B menus! To make them disappear again, type CTRL+F9 again and press ENTER instead of entering the correct password or press F8 when in the Main menu to reload E2B. Or you could define a CTRL+F10 key to hide them all again more quickly (see below). The pentoo FAQ says you can use changes=/dev/sdXY kernel cheat code to specify the persistence volume. This is incorrect! It seems that we must use aufs=/dev/sdXY for pentoo. As pentoo is based on gentoo, we can use a similar .mnu file for persistence with pentoo. You can add OpenElec Live to E2B by following my previous blog here. CHKCPU is available as a MD-DOS\FreeDOS compatible freeware program by Jan Steunebrink that will display details of your CPU. I have created a FreeDOS image that will auto-run this utility and then run checkpci.exe to display the systems PCI IDs. 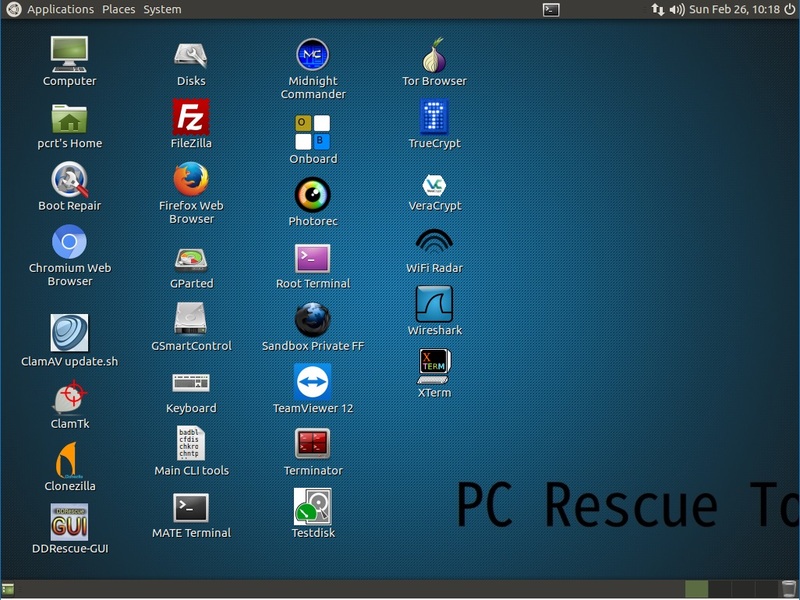 The XUbuntu-based Norman Rescue Disk ISO file (English+German supported) can be downloaded and added to your E2B USB drive (you can supply any junk email address to get the download). However, when it first boots from the ISO file, it will download over 170MB of updates and virus definitions. If you use .imgPTN partition image files to boot to WinPE, you sometimes may want to return the E2B USB drive partitions back to it's original 'E2B' state (without having to boot into CSM\MBR mode), so that you can access the files on the E2B partition whilst running WinPE. UEFI_GRUB2_PTN2_Beta5.imgPTNLBAa23 is available from the Alternate Downloads Area - Other Files folder. The main difference between this version and the previous version is that for UEFI-booting to grub2, it uses a 64-bit shim for Secure Booting. Recent versions of E2B contain a 32-bit version of the binary executable for 'UltraDefrag' for linux (udefrag). This can be found in the \_ISO\docs\linux_utils folder. You will need to use chmod to make it executable first. More details are here. I got the udefrag file from here (tools.zip). There is also a post here which may help. I am afraid my linux skills are virtually non-existent, so if anyone would like to provide me with a compiled, 64-bit version of udefrag, I will add it to E2B for others to use. Rescue ToolKit by Bertrand Goio is Linux-based rescue and diagnostic - RTK-3.iso (password=live). The author has now replaced this toolkit with the PC Rescue Tool (Italian keyboard by default). Just add it to your E2B USB drive and check it out. It also has 64-bit UEFI boot files and so should work if converted to a FAT32 .imgPTN file too. Following from a request from kasep, here is how to boot salix with persistence from E2B. From various experiments, I could not get salix to recognise an ext3 persistence file when mapped to partition 3 of the E2B drive. It seems that salix specifically looks for a 'persistent' file in the root of a FAT32 or ext3 volume with a volume name of 'LIVE'.